Dec. 28, 2018, 8:48 p.m.
Just picked this up. 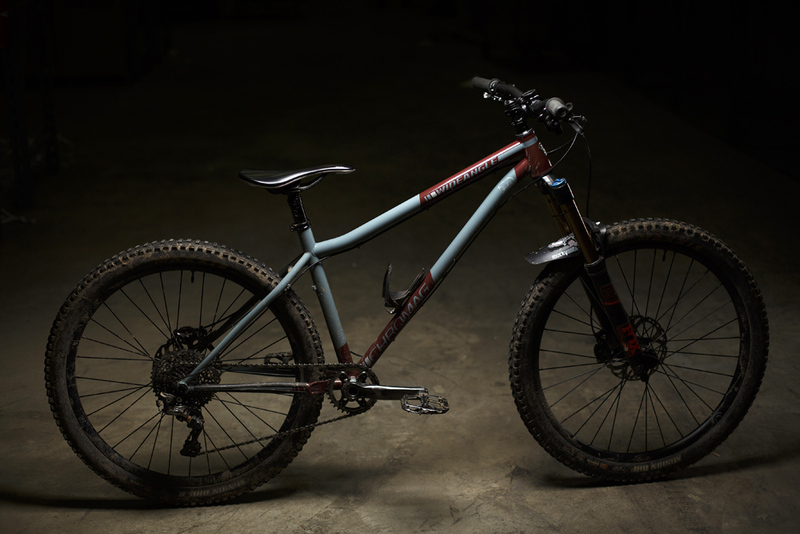 It’s got fat tires and a dropper post, I’m set. But I’ll probably be looking for a new fork in a couple months. 140 or 160? Fox or rockshocks? Last edited by: atb on Dec. 28, 2018, 10:27 p.m., edited 1 time in total. Dec. 31, 2018, 9:41 a.m.
Last edited by: nouseforaname on Dec. 31, 2018, 9:43 a.m., edited 1 time in total. Jan. 1, 2019, 8:59 p.m. I put one ding in the rear rim today riding with about 17-18psi. Jumping onto a pointy rock probably was responsible for that. But with the way I ride, and much like the tires, I too am in the “mid-fat” range, it’s going to need a rear wheel soon. The fork was meh, but not unrideable. I think 140mm with a good damper would be perfect. Hmm I do have a couple avalanche carts for 32mm boxxers sitting around. I bet Craig can supply parts to make it fit a pike. I’m still surprised how smooth and stables it rides. 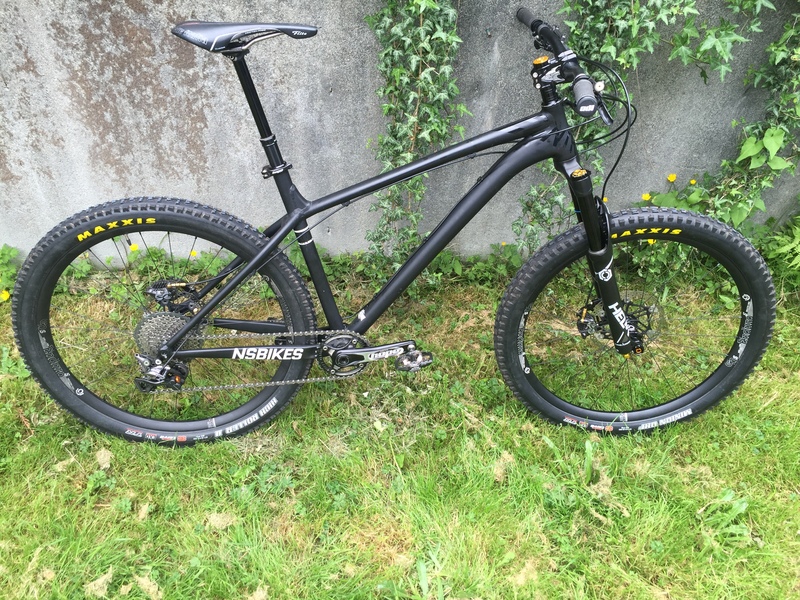 Great on steeps, does jumps and hucks like a big bike, just stiffer. I also bent the seat. 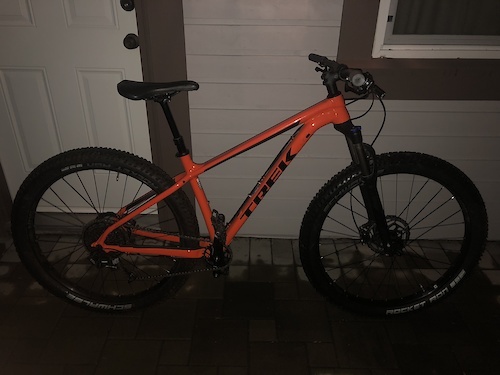 Jan. 1, 2019, 9:14 p.m.
Any opinions on the best place to buy a chromag frame in the lower mainland? I know Kinetik usually stock completes..
Any others? Pretty much every shop has components/clothes but have only seen bikes/frames at kinetik that I've noticed. Jan. 1, 2019, 9:45 p.m.
Jan. 2, 2019, 9:11 a.m.
Jan. 2, 2019, 11:06 a.m. Waiting for them to post up new '19 colours. Waiting. 2.4 or 2.35 will probably be awful on mid fat size rims though. Minions are available in 2.8 and 3.0, I don't get the love for the mid fat honestly, so I'd probably get the 2.8 for a little firmer ride and a little less weight. What's the max tire size on the Roscoe? Last edited by: nouseforaname on Jan. 2, 2019, 12:25 p.m., edited 1 time in total. Jan. 3, 2019, 8:02 a.m.
My Wideangle. Been on it for a couple of months and loving it. Jan. 3, 2019, 10:14 a.m.
Last edited by: tungsten on Jan. 3, 2019, 10:15 a.m., edited 1 time in total. Jan. 3, 2019, 12:26 p.m.
Jan. 3, 2019, 5:37 p.m.
What size is that. And how tall are you ? Jan. 3, 2019, 6:59 p.m. I would reach out to them, see if there’s a dealer in your area. Jan. 4, 2019, 6:38 a.m. It's a medium and I'm 5'8" (~174cm). Fits great.